The New Year is just days away so that means most folks are probably still scrambling to figure out what they&apos;re doing when the ball drops. While that may remain a last minute decision go90 gives sports fans one less thing to think about in the 2017 with a host of games to choose from between the NFL, NBA, and college football playoffs. The college football playoffs will be played on New Year&apos;s Eve (for whatever reason) when Washington takes on Alabama at 3 p.m. ET and Ohio State plays Clemson at 7 p.m. ET. 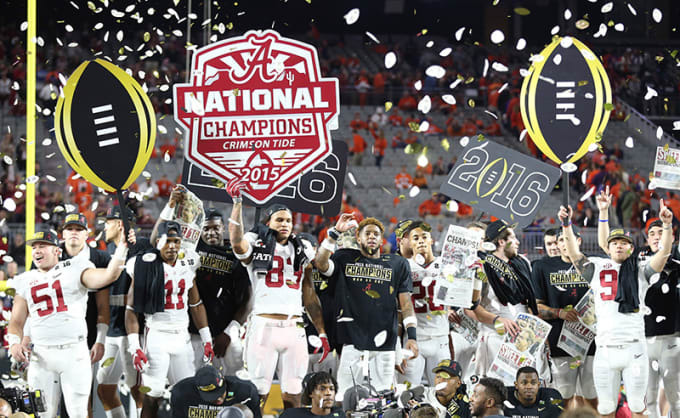 Alabama is the perennial favorite against Washington, but anything can happen between Clemson and Ohio State. Will we get another matchup between Urban Meyer and Nick Saban in what is turning into a low-key rivalry, or will we get a rematch of Bama vs. Clemson in the title game? If college football isn&apos;t your thing, catch the last week of the NFL regular season on Sunday that&apos;s highlighted by the Green Bay Packers taking on the Detroit Lions in a winner-takes-all NFC North matchup in primetime. The Packers are looking for their sixth straight win, while the Lions are clinging on to their playoff lives. Off the field, and onto the court, Chris Paul and his Los Angeles Clippers take on Russell Westbrook&apos;s Oklahoma City Thunder on December 31st. You can also check out Brodie when he goes up against the Beard on Thursday in a battle between two of the most elite guards in the league. 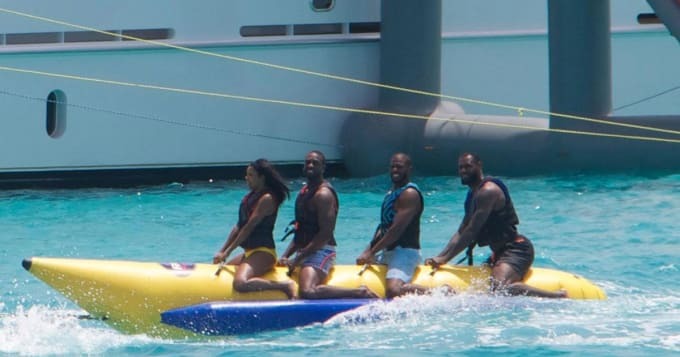 Another big matchup to look forward to next week is when LeBron James and the Cavs go head-to-head with his banana boat riding partner Dwyane Wade and the Bulls on Wednesday. 2016 had some of the best sports moments in recent memory, including Nova&apos;s game winner in the National Championship, The Chicago Cubs winning the World Series for the first time in 108 years, and the Cavs securing that coveted championship trophy to the city of Cleveland for the first time since 1964. Will 2017 be even better? Time will tell.